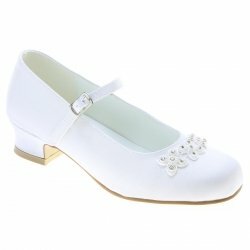 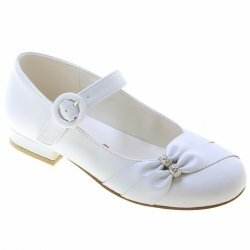 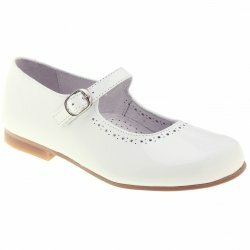 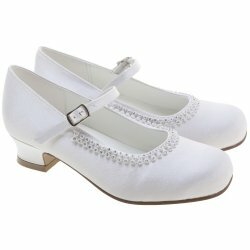 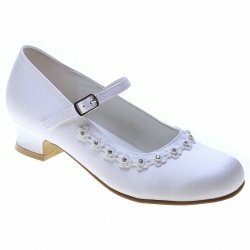 All the girls First Holy Communion white shoes we sell are in stock at our Ashford, Surrey (near London) shop. 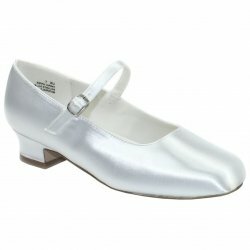 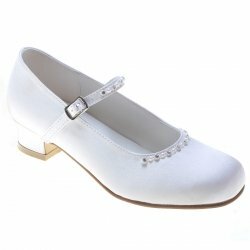 Our Communion shoes have been specifically selected to match white Communion dresses. 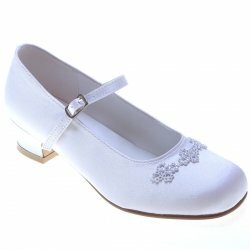 We have simple plain white shoes as well as elaborately decorated ones. 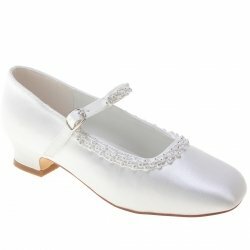 We stock Little People's Communion Shoes and we are an authorised stockist of Linzi Jay. Communion shoes are exempt fromt our normal 14 days exchange policy. 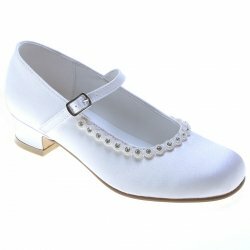 All girls Communion shoes are exchangeable to other sizes or style until the end of June in the year in which they were bought.